Made with strong vinyl-coated electro-galvanized steel, our patio cover/carport is perfect as an awning at the from or back of your house or trailer home. Protect your entrance, patio area, or vehicle from inclement weather and the baking sun. Our patio cover/carport is designed to attach to your home and can be assembled as a large DIY project, since all parts are pre-cut, pre-drilled, and clearly marked. With our premium 15 year warranty, this structure will withstand the test of time. 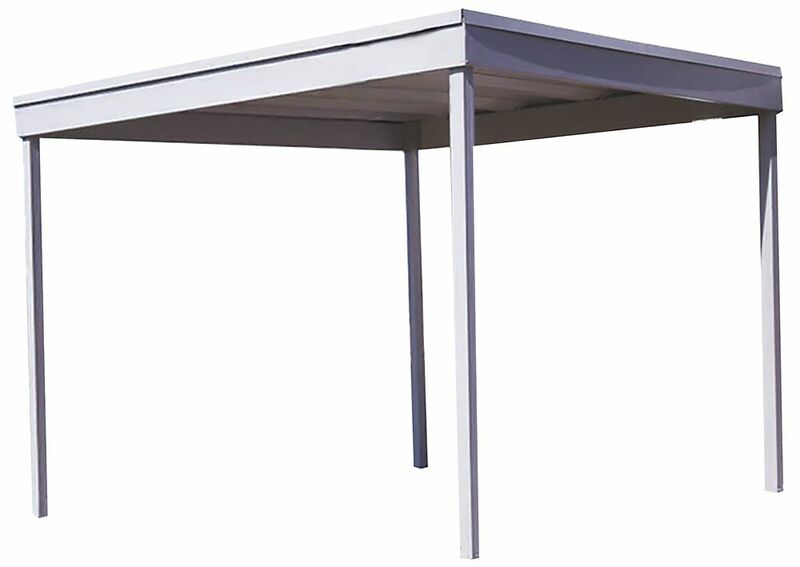 Carport/Patio Cover Freestanding 10 x 10 ft. Eggshell Perfect for your house or trailer home, our sturdy vinyl-coated, electro-galvanized steel patio cover/carport protects your deck, patio or vehicle. With pre-cut, pre-drilled, and well labeled parts, this structure can be built as a large DIY project, saving hundreds on professional assembly. Place this free standing structure wherever you need it most knowing that with our premium 15 year warranty, your investment will withstand the test of time. Carport/Patio Cover Freestanding 10 x 10 ft. Eggshell is rated 1.5 out of 5 by 2. Rated 2 out of 5 by joeinwash from Good and Poor Features Delivery was super fast, quicker than Priority mail. The product arrived in good condition, well packaged. As described, all necessary holes were drilled and all bolts screws, etc were furnished. Assembly went pretty quickly, would recommend at least two people for work. My concern has to do primarily with the sturdiness of the product; the fasteners and the number of them seem barely adequate. I am not sure how the product would stand up to even moderate wind and snow loads, let alone seismic forces.